Recent Addition: Diebolt Brewing in Sunnyside! Over the last decade, the Highlands has become one of Denver’s most popular neighborhoods. With festivals, music, great food, and lots of wonderful parks, the only thing the Highlands has been missing is a brewery. We’re excited to be able to add this page to the website, since over the summer three breweries have opened their doors in the neighborhood, complimenting the already great scene and adding to the selection of places to grab a delicious beer. If you’re connecting this to the Central Downtown or West Downtown tours, begin your journey at Prost, where German styles are their focus. Sitting outside in their beer garden with a glass of Pilsner might be the best beer/view combo of any urban destination. Head west through the Highland to Hogshead where you can compare the German beers you just drank at Prost to Hogshead’s Brittish style. 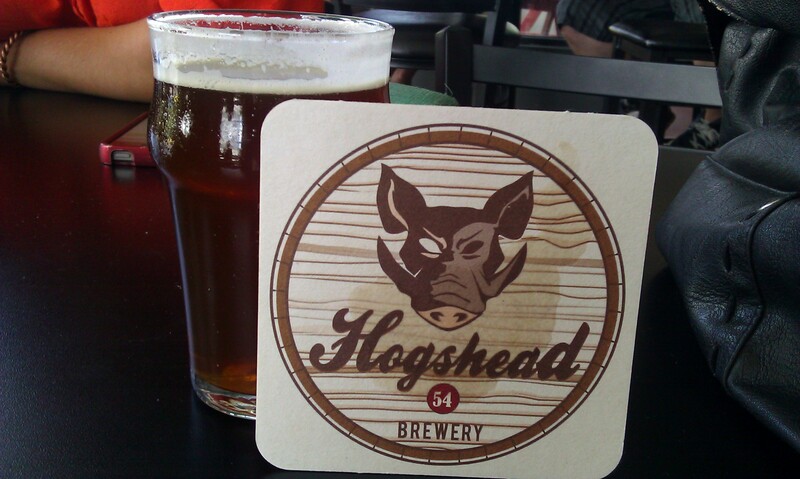 Most exciting, like Pint’s Pub downtown, Hogshead pours beer on draft as well as the more traditional cask system. The American palette steers us towards the colder, higher carbonation drafts, but any true beer enthusiasts should have a pint on cask. These beers are crafted to be served in this style, and they deserve their proper pour. Bitters (an English style) particularly taste much better on cask . . . don’t believe us? Try a side-by-side tasting and see what you like. Draft will always be there, but finding a cask ale at every brewery is rarely easy. Now, Crooked Stave, Denver’s newest brewery, serves higher alcohol, often more complex beer like sours, 100% Brett beers, and farmhouse ales. This is probably the best place to start this Highlands tour, but seriously, pace yourself. 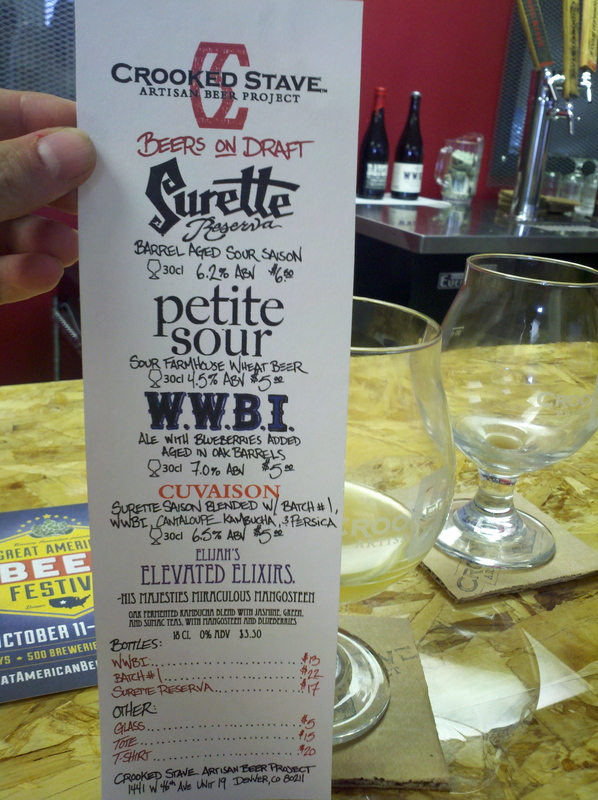 Like Brittish styles on cask, Crooked Stave’s focus might not be for everybody. Regardless, everybody should at least give these beers an honest try. For us, this style of craft beer has quickly become our favorite, and with Crooked Stave’s rapidly rotating tap menu, we’re sure to become regulars. We’re just glad Denver stole these guys from Fort Collins. Ready for dinner and maybe one more beer? Head back towards downtown, but stay west of I-25, to LoHi, (the Lower Highlands), and enjoy the view at the 3rd Breckenridge spot in Denver: The Ale House at Amato’s. You will also find a bountiful menu of rotating taps and one of the best burgers in town at Highland Tap and Burger. Or maybe stay closer to 38th and Tennyson in the Highlands for a visit to Hops and Pie, where you can get a delicious craft pizza alongside a wide selection of craft beer from around the nation.